Pixar Fest finally arrives tomorrow – a celebration of everyone’s favorite Pixar stories is taking over the Disneyland Resort. Throughout the resort, you’ll find Pixar-inspired parades, a new fireworks spectacular, tons of characters, and of course – FOOD! This festival is loaded with goodies that you’ll want to get your hands on. Here’s your exclusive Foodie Guide to everything Pixar Fest. Starting on Main Street, U.S.A., you’ll find some special items inspired by the Disney•Pixar film “Up,” including the Frozen Grape Soda Slush at the Main Street Coffee Cart. Also at this location will be specialty doughnuts featuring the iconic balloons and Russell’s badge sash. And at Gibson Girl Ice Cream Parlor, you’ll find a Salted Caramel Butter Pecan Sundae with butter pecan and chocolate ice cream topped with salted caramel sauce, whipped cream, and candied pecans. Jolly Holiday Bakery Café will be serving “Up”-inspired Chocolate-Hazelnut Pastries and Specialty Éclairs with imagery featuring Carl Fredricksen and Russell’s badges, and right next door at Refreshment Corner, you’ll find a new all-beef hot dog! The Pastrami Dog is topped with pastrami, sauerkraut, special sauce, a dill pickle spear, and chives and served on an artisan bun. 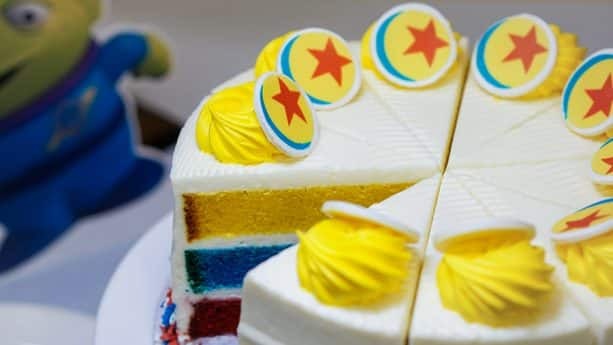 Across the street, Plaza Inn will be dishing out slices of Pixar Lemon-Raspberry Cake. This yummy dessert has layers of lemon, blue vanilla, and red velvet sponge cakes with raspberry purée and cream cheese frosting and is topped with a chocolate half-dome featuring that lovable, fun Pixar Ball! You’ll also find this cake in Disney California Adventure park at Pacific Wharf Café and Paradise Garden Grill. Also at Plaza Inn is a special dining package that includes a picnic-style lunch and access to a reserved viewing area for the “Pixar Play Parade.” This picnic lunch includes your choice of either fried chicken, penne pasta with marinara sauce and Parmesan cheese, or a bed of greens tossed in house-made ranch dressing, cheddar cheese, beans, pickled onions, and tomatoes. 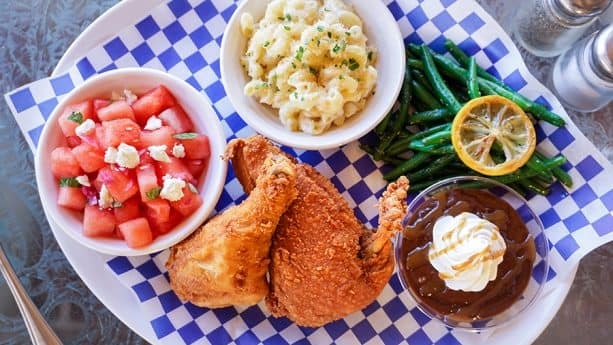 Each entrée is served with white cheddar mac & cheese, lemon-thyme green beans, refreshing watermelon-feta cheese salad, and a chocolate-caramel pudding for dessert. Be sure to make reservations today for this amazing dining package. At Carnation Café, you’ll find a couple dishes inspired by Carl Fredricksen from “Up.” The Fried Bologna Sandwich features pan-seared bologna, toasted Pullman bread, aïoli, pickles, lettuce, and tomato. 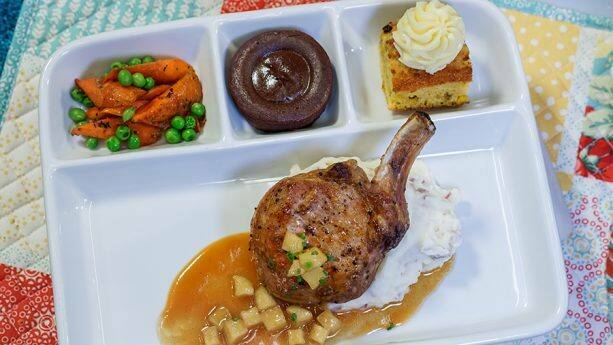 Then there’s the Pork Chop Dinner served on a “TV tray” with a spiced apple pork chop, mashed potatoes, peas and carrots, a corn muffin, and a decadent molten lava cake. 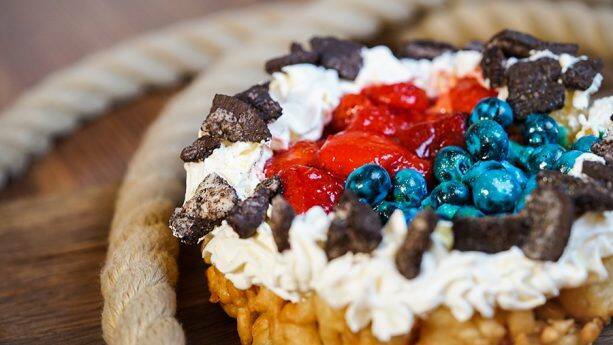 In Frontierland, you’ll find some rootin’ tootin’ sweets inspired by the Disney•Pixar film “Toy Story,” including a Berry Funnel Cake at Stage Door Café – a house-made funnel cake topped with blueberries, strawberries, chocolate cookie crumbles, crème anglaise, white chocolate, and gold-dusted whipped cream. If you can’t get enough funnel cake, there’s also a Strawberry Funnel Cake over in Critter Country at Hungry Bear Restaurant. This house-made funnel cake is inspired by everyone’s favorite unicorn, Buttercup, and comes with strawberry-cherry topping, strawberry butter, and streusel with a spice syrup drizzle. 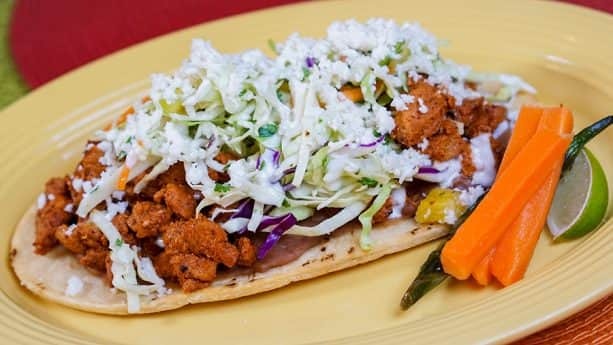 Back in Frontierland at Rancho del Zocalo Restaurante, you’ll find Al Pastor Huarache. This dish, inspired by the Disney•Pixar film “Coco,” features refried beans, al pastor-marinated pork, pineapple slaw, pasilla pepper crema, Mexican crema, and queso fresco, and it’s served with pickled carrots and fried serrano chili. For dessert, you can get the Mexican Chocolate Pot de Crème. 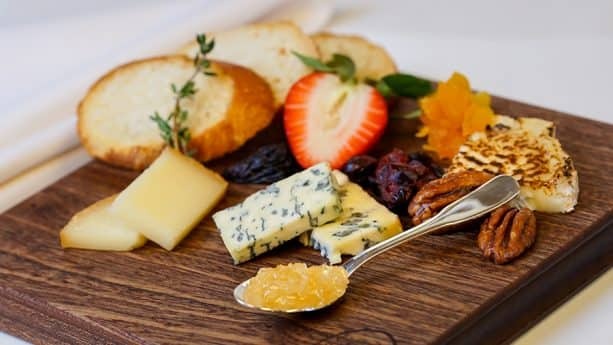 In New Orleans Square, Café Orleans will be serving up a themed three-course meal inspired by the Disney•Pixar film “Ratatouille.” The first course features a specialty cheese flight with three cheeses, dried fruit, and honeycomb. 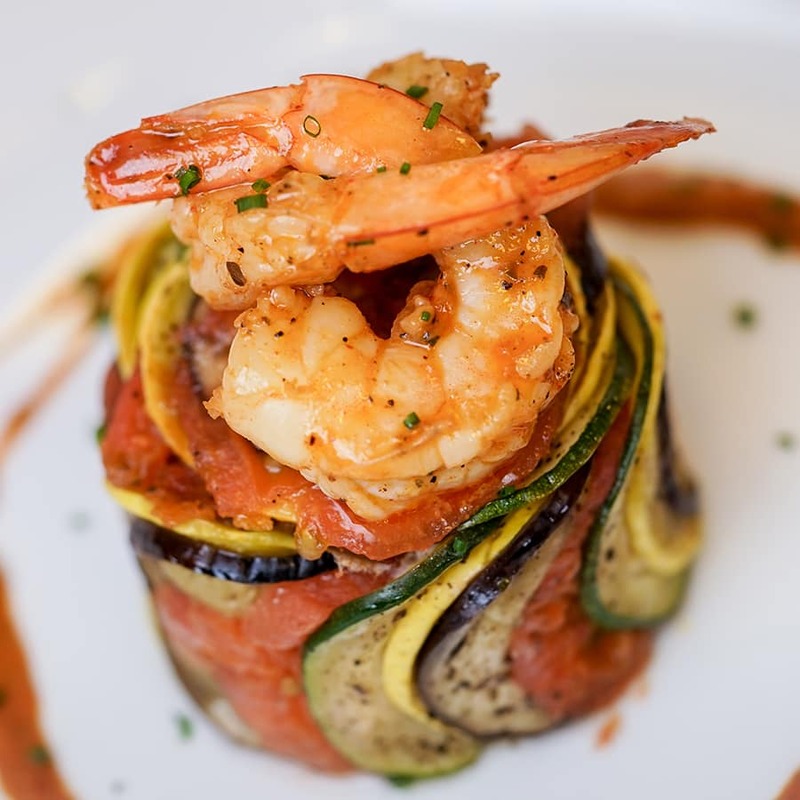 For the main event, it’s Remy’s favorite dish – Shrimp Ratatouille Byaldi layered with roasted zucchini, yellow squash, eggplant, and tomato. The third course will feature Berry-Stuffed Beignets à la Mode served with a sweet brie drizzle and mascarpone. 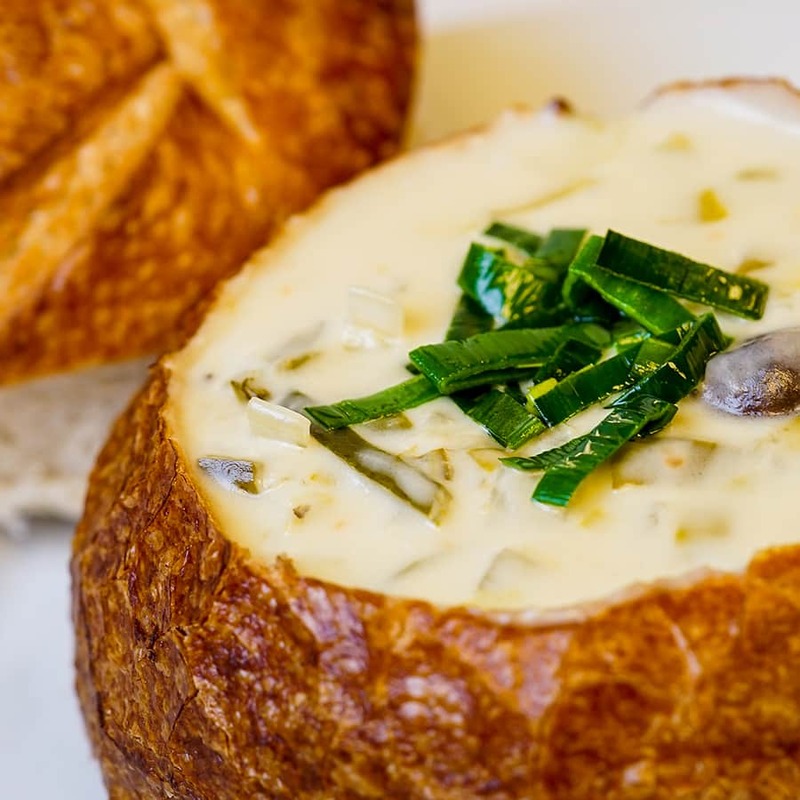 And nearby at the Royal Street Veranda, you’ll find a delicious Potato-Leek Soup. We can’t forget Alien Pizza Planet in Tomorrowland! The Aliens from “Toy Story” have sourced the finest ingredients from across the universe to deliver fresh, hot pizzas that are out of this world. 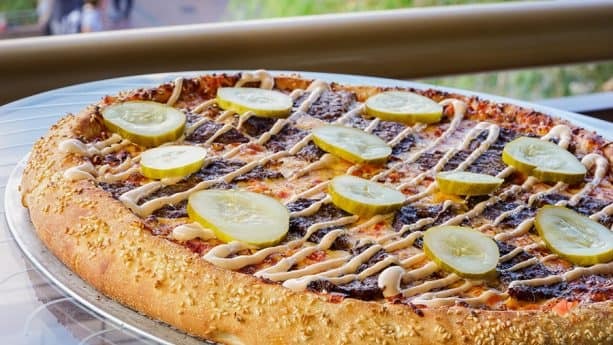 These pizzas include a Cheeseburger Pizza with ketchup, yellow mustard, and pizza sauce on a sesame seed crust and topped with American and Cheddar cheese, caramelized onions, diced tomatoes, slider patties, house-made burger sauce, and pickles, as well as Cheese, Pepperoni, and Vegetarian Pizzas. A Chicken Caesar Salad will also be offered, along with an Antipasto Salad, Edamame-Noodle Salad, and Pesto Pasta. 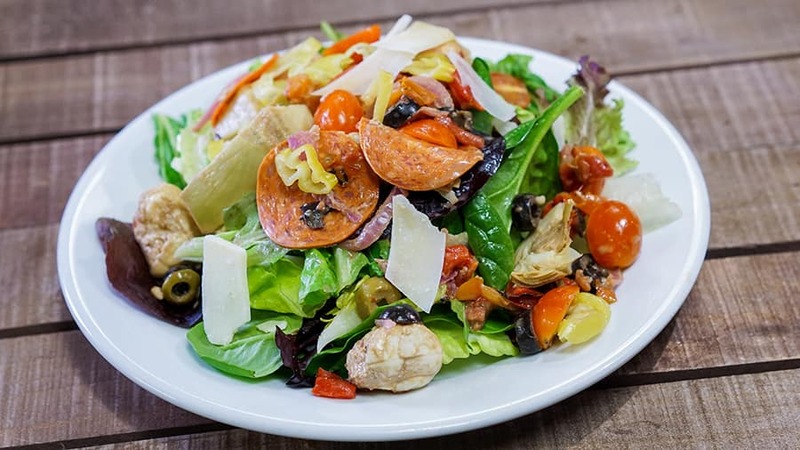 The Antipasto Salad consists of crisp lettuce topped with pepperoni, tomatoes, mixed olives, pepperoncini, fresh mozzarella, roasted red pepper, and roasted red onions tossed in a balsamic vinaigrette. The Edamame-Noodle Salad features grilled chicken breast on top of marinated edamame, sweet green beans, mint, cilantro, red cabbage, shredded carrot, and cold soba noodles with a ginger-lime vinaigrette. 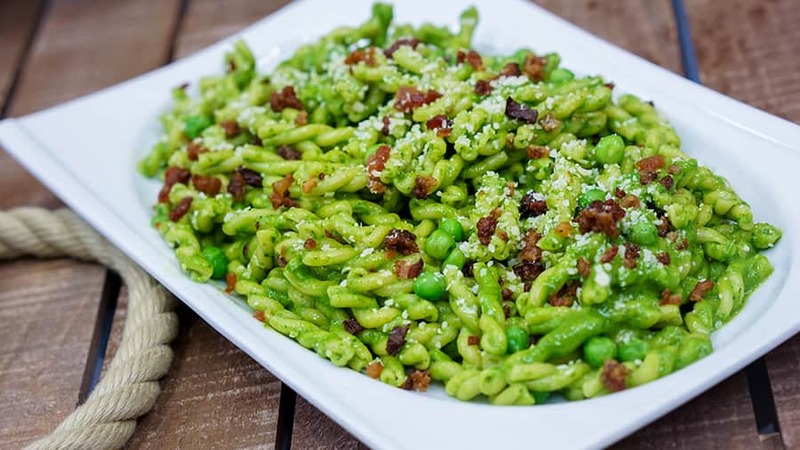 The Pesto Pasta is a gemelli pasta tossed in a spinach and miso pesto with smoky bacon, sweet peas, and Parmesan. And of course, you can pair any of these dishes with a side of fresh bread sticks or a side salad. 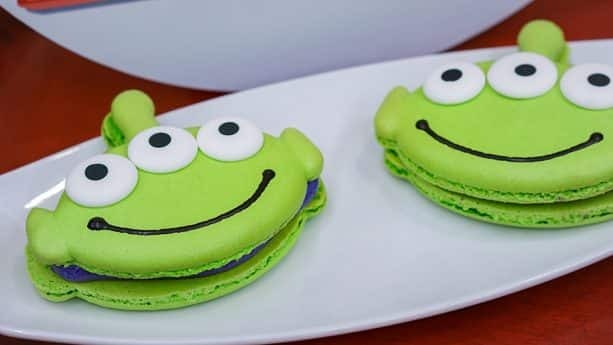 On the sweet side of the Alien Pizza Planet menu, we’ve got Strawberry and Sour Apple Slushes, as well as an adorable Macaron and a Blackberry-Lime Parfait. 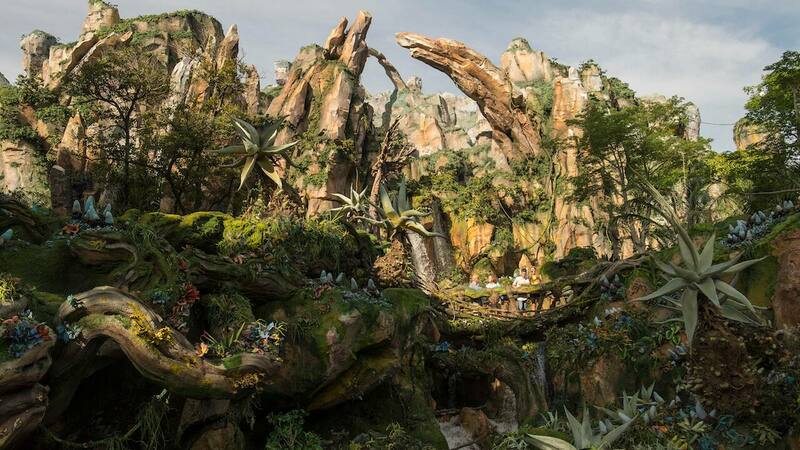 Throughout the park there will also be some exciting new churros and snacks! Outdoor carts and kiosks will be serving up Cotton Candy inspired by Nemo from the Disney•Pixar film “Finding Nemo” with orange and white stripes and a fresh orange-vanilla flavor. At the Town Square Churro Cart and the Churro Cart in front of Sleeping Beauty Castle will be Lemon Churros with lemon sugar and multi-colored fruity cereal. The Tomorrowland Churro Cart will feature a Strawberry Churro with strawberry sugar, and the Frontierland Churro Cart will feature a Cocoa Churro with chocolate powder, salted cinnamon sugar, and a Mexican chocolate dipping sauce. The Frontierland Pretzel Cart will be offering a Cinnamon Pretzel. 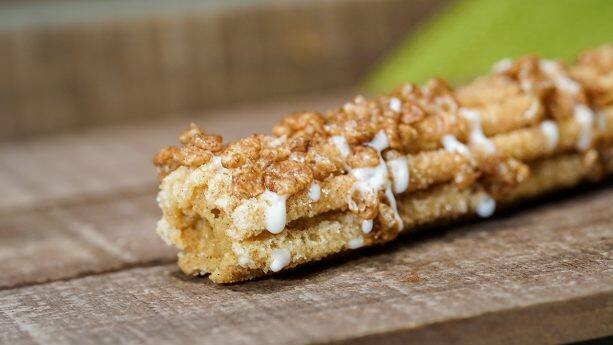 And finally, at the New Orleans Square Churro Cart, you’ll find a Carrot Cake Churro rolled in cinnamon sugar with raisin-carrot cream cheese frosting. Starting in Hollywood Land there’s some special sweets that you won’t want to miss! 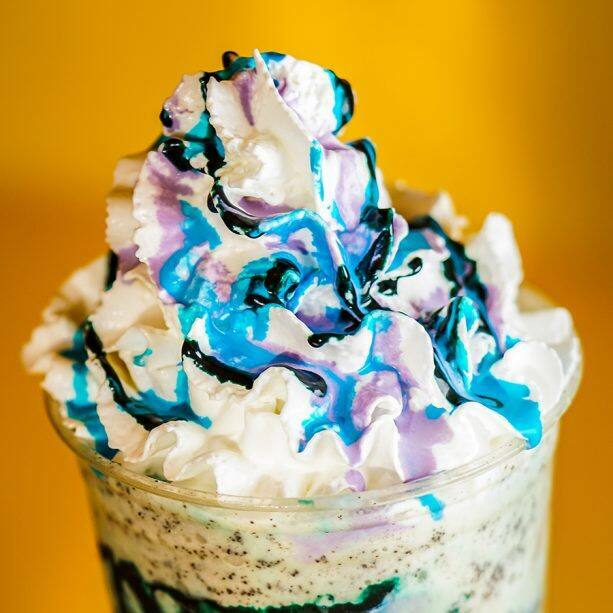 Schmoozies is serving up some fun treats inspired by the Disney•Pixar film “Monsters Inc.,” including Whoopie Pies, a Mint Chip Shake, and a Marshmallow Doughnut with marshmallow fluff filling. And right down the street at Award Wieners, you’ll find Funnel Cake Fries topped with whipped cream and fruity cereal. If you’re looking for a savory option, Award Wieners is also dishing up a Pulled Pork Dog – an all-beef hot dog topped with pulled pork, spicy teriyaki sauce, and fresh pineapple salsa. At Fairfax Market and Boudin Bread Cart, the bread shaped like Mike Wazowski from “Monsters Inc.” is sure to be a favorite! 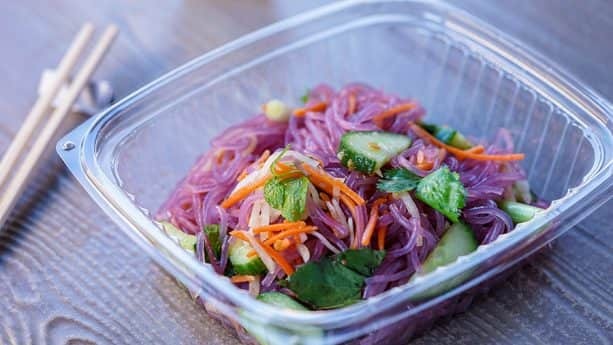 On Pacific Wharf, Lucky Fortune Cookery will be serving up another item inspired by this animated favorite – Chilled Noodle Salad. These chilled iridescent noodles come with herbaceous preserved plants, sweet and spicy vinaigrette, crushed and toasted peanuts, mint, Thai basil, shredded daikon, and carrots. And right next door at Cocina Cucamonga Mexican Grill, there’s a decadent Tres Leches Parfait with layers of vanilla cake, sweet caramel cream, and rum. 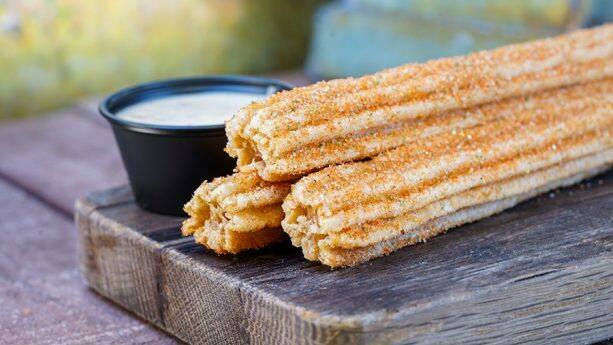 Drive on over to Cars Land to the Cozy Cone Motel for “Choose Your Racer” Churros! There’s three colored sugars to choose from inspired by the Disney•Pixar film “Cars” – yellow for Cruz, red for Lightning McQueen and blue for Storm. 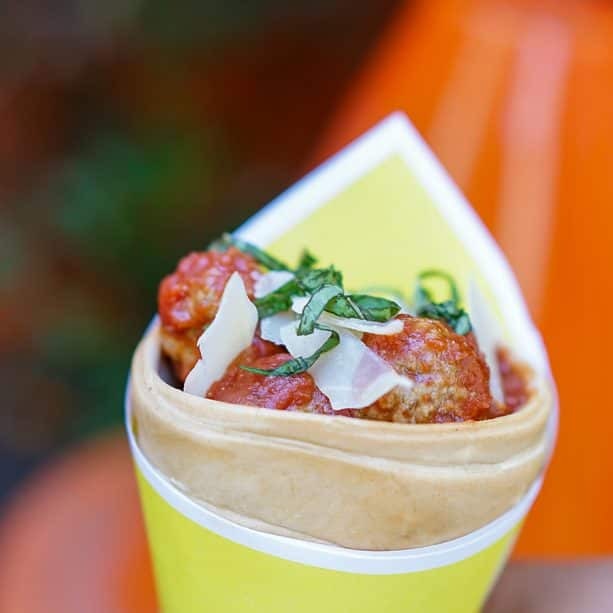 You’ll also find a Champions Corn Cup with fresh corn, flavored mayonnaise, cotija cheese, chili-lime spice, and lime; and a Habanero Meatball Cone with turkey meatballs in a habanero derby sauce with a cheese crisp and spiral pasta “smoke stacks.” And for the soft-serve ice cream, you can add Road Gravel Ice Cream Topping to your cold treat. This topping consists of cookie crumbles. Nearby at A Bug’s Land is an Iced Specialty Churro at the Churro Cart. This churro is drizzled with doughnut icing and dusted with cocoa cereal. At various outdoor carts and kiosks throughout the park, you’ll also be able to find the Sour Lemon Cotton Candy. 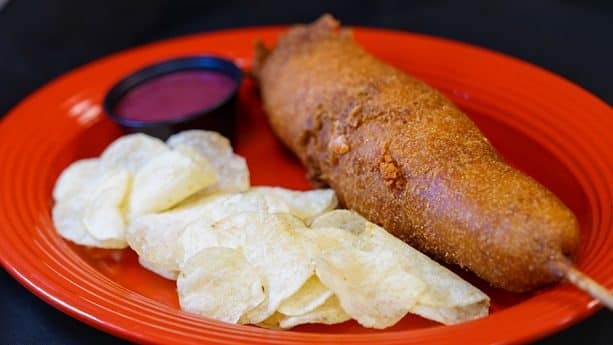 Paradise Garden Grill has quite the variety of delicious items – all inspired by “Coco” – like the Yucatan-Inspired Vaporcitos – chicken tamales steamed in banana leaves with ranchero salsa, golden rice, and black beans. There’s also Mole Verde con Pollo (herb-braised chicken with golden rice, black beans, and corn tortillas), Tortitas de Papa con Queso (crispy potato cakes with Oaxaca Cheese, ranchero salsa, golden rice, and pickled onion salad), Tacos de Estilo Callejero (trio of sirloin beef tacos with pickled vegetables, golden rice, and black beans), and Ensalada de Frutas (jicama, watermelon, cucumber, pineapple, and mango with chili-lime salt and chamoy). And for dessert – try the Tres Leches Parfait with rum and vanilla bean Chantilly, drizzled with Dulce de Leche and garnished with a chocolate disc featuring Miguel’s loyal sidekick, Dante. There’s also an Agua de Jamaica Slush, Mexican Hot Chocolate and the Pixar Lemon-Raspberry Cake. So there you have it! All things edible and delicious at Pixar Fest at Disneyland Resort. This festival runs tomorrow through September 3. Come celebrate the joy of Pixar with us! Really need that alien parfait recipe 🤤😋🍽️🍴 It was so delicious. You had me at doughnut icing drizzled churro. Me too! 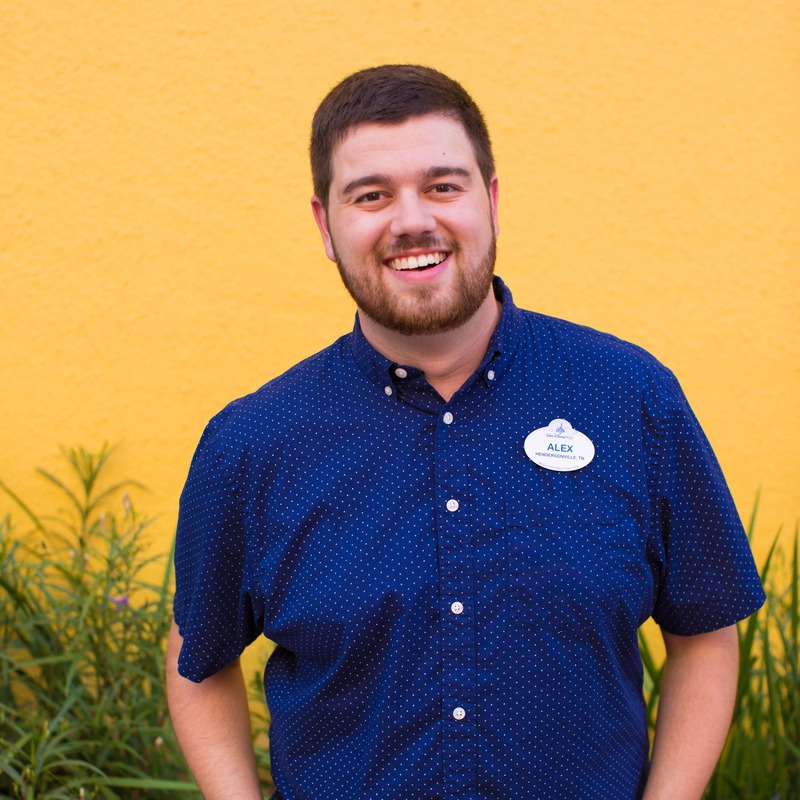 I know Disney employees have always been great at helping me find gluten free options, hope we get to have some of these treats too! Everything sounds good. Just wondering in all this goodness if there’s anything for us that are allergic to gluten? I’m hoping so!